"Paddlewheel Riverboats" The twin-decked, 67-foot Cherokee Queen I has been one of Grand Lake's most popular and unique attractions since she was assembled and launched in 1945. 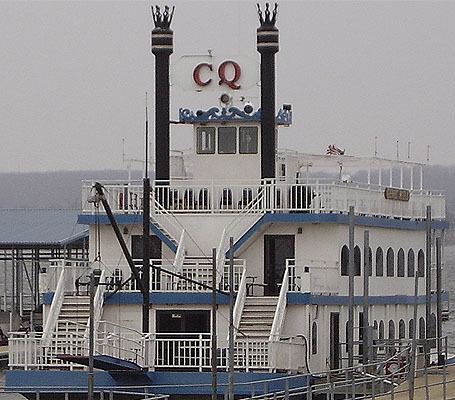 Her sister ship, the Cherokee Queen II boasts three decks and two dance floors. She is 108' long, 47' high, weighs 168 tons and can easily accommodate 390 passengers for dinner. 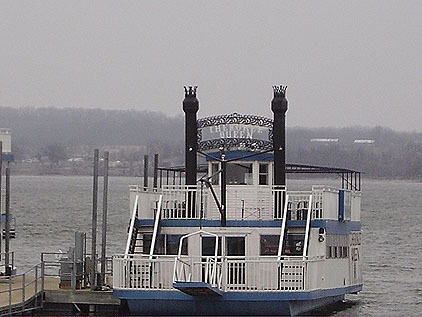 Both ships offer air-conditioning and heating for comfort in any weather, and are reminiscent of the romance and adventure of the old Mississippi riverboats. Cruises glide past beautiful homes along Grand Lake, Monkey Island, Shangri-La Resort, Har-Ber Village and the inspiring lakeside scenery. 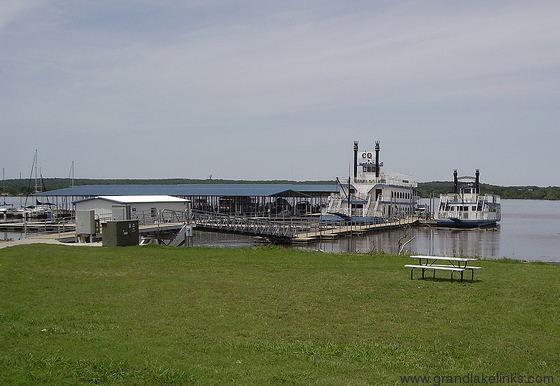 They offer a variety of daily sightseeing cruises during the summer, along with private charters, dinner and dance cruises, and holiday cruises. Click Here to go to the Cherokee Queen website. 2. spinnaker point 7. twin bridges catfish ..
3. vini 8. crosbys catfish rest ..
5. lake map 10. grand lake amateur r ..